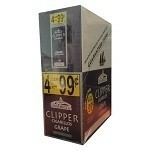 Clipper filtered cigars are one of the eldest brand of cigars in the United States. They give smokers a more full flavored option to cigarettes. Clippers are offered in a diversity of styles and flavors, such as Cherry, Menthol, Strawberry, and Full Flavor. 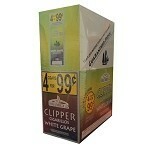 In order to appeal further to deprived cigarette smokers, Clippers also offer Ultra Light and Light styles. Clippers have grown to be admired in the last few decades, while the average price of cigarettes has continue to increase. 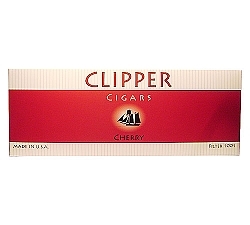 Clippers are manufactured by Global Tobacco LLC in the state of Texas. 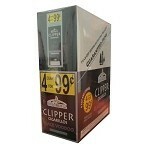 Presently, Clipper Little Cigars added a special line of clove cigars. The tobacco is mixed with dried clove spice to create a hearty and autumnal flavor. These special clove cigars are created in two different styles. The styles are Black and Red. They give a very unique smoking experience to people who love to smoke cigarettes and cigars. These cigars are a splendid treat for any type of smoker. More and more cigarette smokers are changing to little cigars. Cigar smokers can benefit from high quality cigars that they can enjoy on a quicker level. 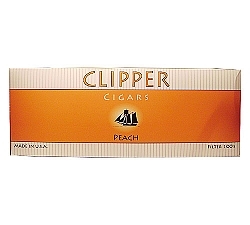 Clippers have a nice taste and a light aroma that is pleasant to the person smoking and the people who are around them as well. 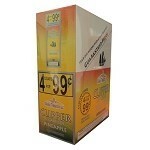 The flavored brands, such as Strawberry and Peach, do not overpower the smoker with an unnatural or artificial taste. It saturates the tobacco with a nice fruit essence. The tobacco in Clippers is high quality. 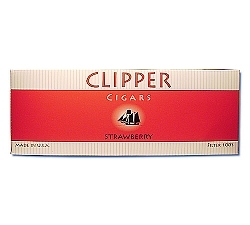 Whether you are a person who loves to smoke or whether you are casual smoker, you will enjoy Clippers Little Cigars. The flavors add a cool change to the experience. There are differences between a cigar and cigarette. To start with, there is a difference in the physical appearance of both of them. A filtered cigar or a little cigar is created with a darker and more natural tobacco colored wrapper. It is easily notable from the white wrapper of a cigarette. All of them are distributed in similar packaging. 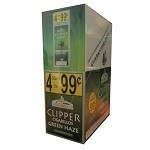 They also can be purchased by the carton, which includes ten packs with twenty cigars to a pack individually.